So at the Rec this morning I realized that that news I'd been seeing about another celebrity biting the dust was that really annoying, loud infomercial guy. He is so mesmerizing. The way he shows you things about the product and yells in monotone. You just have to buy the product...and HURRY. 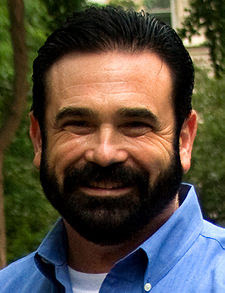 I especially want to thank Billy Mays for OxiClean. It's in store now, you know. And it's seriously good stuff. I mean Emma might spill ketchup on her clothes at school and when she gets home, it's already been dried on for hours. Then it goes into the dirty laundry where it may sit for several days before it ever makes it in the washing machine. But just throw in a scoop of OxiClean in with the regular soap and WHAM, POW, SHA-ZAM it's like new. Not just clean--like new. It's way better than Biz. 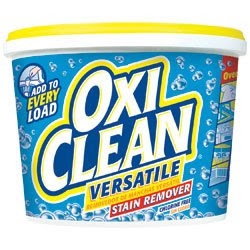 I throw in a scoop of Oxy Clean with virtually every load. It's awesome. So I'd like to give a shout out to Billy. Thanks for OxiClean.